Johanna Schreuder was born on May 20, 1927 in The Hague, The Netherlands to Cornelis Haas and Maria Wilhelmina Van den Berg. She had six siblings, of which one survives today (Frits Haas, the youngest of 7). Johanna went to school in The Hague, and worked at the horse racetrack placing bets in The Hague. That job provided the major income to her family during World War II. She survived the Nazi occupation of WWII, and a few years later immigrated to Canada with her husband, Jan Schreuder, an architectural draftsman and avid photographer. They settled in the province of Ontario, and started their family in Simcoe and Hamilton. A few years later, they were joined by her sister Pauline Helders and her family, immigrating from South Africa. The two families were always very close. She was dedicated full time to raising her three children, Marja, Art, and Pauline. She enjoyed being with family and friends, foremost. The family immigrated to the United States in 1961, through the port of Buffalo, New York, living for a short time in Maywood, New Jersey and Greenville, Pennsylvania, settling eventually in the Baltimore Metropolitan area in 1963. The Helders family joined them shortly thereafter. In 1967, she earned her certification as a Licensed Practical Nurse from the University of Maryland and became an LPN at Mercy Hospital where she worked for the remainder of her career, retiring in the mid-1980’s, and working there on a part-time basis for a few years thereafter. Going back to school at 40 years of age was quite a challenge, but the younger students sought her out because of her knowledge the metric system, and she tutored them on how to calculate the correct dosage, time of a drip, etc. She had a natural talent for numbers and calculations. 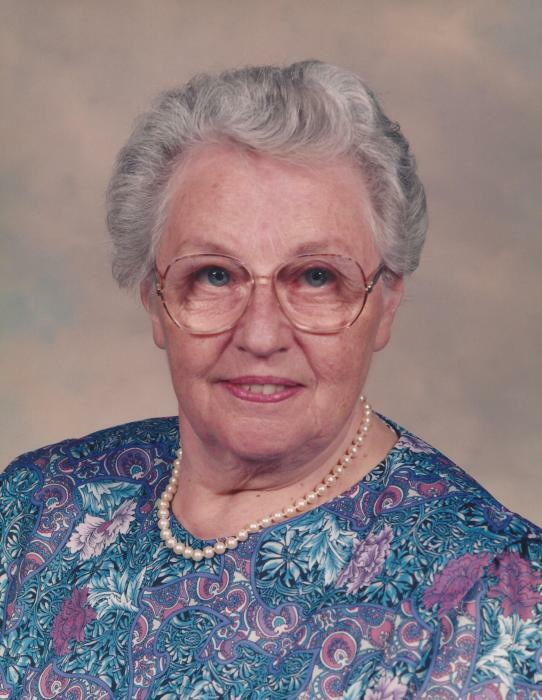 She was very proud of her work and service as a Licensed Practical Nurse at Mercy Hospital, often saying “those were the best years of my life”. The most rewarding was her work on the Maternity floor, taking care of new mothers, and later the Cardiac Care unit in the hospital. When hospitalization was necessary, it gave her great comfort to be in the care of the doctors and nurses at Mercy. Johanna’s baking specialty was butter cookies, a recipe she brought from her homeland. At Christmas, she treated co-workers and family to a tin of her delicious cookies, a tradition which lasted many, many years. A favorite casserole, made from all the “leftovers”, was made every Thanksgiving. Many in the family looked forward more to the day after, than to the Thanksgiving Holiday itself. She also enjoyed knitting sweaters for her family and crocheting baby blankets. There are many children in the world who still drag around the baby blankets she made with her own hands. Her music was also a large part of her life. She learned piano as a child, and a favorite activity at home in The Hague, was to sing at the piano while her sister, Pauline, played. They sang classic pieces, mainly from religious music, a favorite of which was Handel’s The Messiah. She loved choral music, and sang at church, and was often asked to sing solos. She encouraged her children to study instruments, and enrolled them in various school and church music programs. She was always singing around the house. Always ready to be on the go to travel and visit with family, going as far as Dallas, Chicago, Toronto, and several visits back to her home country, The Netherlands, to visit with brothers, nieces, and nephews. She particularly enjoyed the Dutch foods, bringing home various cheeses, chocolate, and baked goods for friends and family to enjoy. Johanna shared everything she had freely with anyone, without reservation, judgement, or hesitation. Her generosity of spirit, her kindly and forgiving nature and good humor were an inspiration. The family will receive visitors at Singleton Funeral & Cremation Services, P.A., 1 2nd Ave. SW (at Crain Hwy) on Monday, Feb. 11th from 4-7 pm. A Funeral Service will be held on Tuesday, Feb. 12th at 10 am in the funeral home chapel. Interment Dulaney Valley Memorial Gardens.